Match ends, Paris Saint Germain 5, Lyon 0. Second Half ends, Paris Saint Germain 5, Lyon 0. Attempt blocked. Kylian Mbappé (Paris Saint Germain) left footed shot from outside the box is blocked. Assisted by Neymar. Attempt missed. Neymar (Paris Saint Germain) left footed shot from the right side of the six yard box is too high. Assisted by Kylian Mbappé. Substitution, Paris Saint Germain. Moussa Diaby replaces Ángel Di María. Corner, Lyon. Conceded by Thilo Kehrer. Attempt missed. Ferland Mendy (Lyon) left footed shot from outside the box is high and wide to the left. Assisted by Tanguy NDombele. Substitution, Lyon. Pape Cheikh replaces Maxwel Cornet. Corner, Lyon. Conceded by Thomas Meunier. Attempt blocked. Neymar (Paris Saint Germain) left footed shot from the left side of the box is blocked. Assisted by Kylian Mbappé. Attempt blocked. Bertrand Traoré (Lyon) left footed shot from the right side of the box is blocked. Assisted by Léo Dubois. Substitution, Paris Saint Germain. Julian Draxler replaces Marco Verratti. Goal! Paris Saint Germain 5, Lyon 0. Kylian Mbappé (Paris Saint Germain) right footed shot from the centre of the box to the centre of the goal. Attempt saved. Thomas Meunier (Paris Saint Germain) left footed shot from the centre of the box is saved in the centre of the goal. Attempt blocked. Neymar (Paris Saint Germain) right footed shot from the centre of the box is blocked. Assisted by Kylian Mbappé. Corner, Lyon. Conceded by Ángel Di María. Offside, Paris Saint Germain. Ángel Di María tries a through ball, but Kylian Mbappé is caught offside. Goal! Paris Saint Germain 4, Lyon 0. Kylian Mbappé (Paris Saint Germain) right footed shot from the centre of the box to the high centre of the goal. Assisted by Neymar with a through ball. Attempt blocked. Tanguy NDombele (Lyon) right footed shot from the centre of the box is blocked. Goal! Paris Saint Germain 3, Lyon 0. Kylian Mbappé (Paris Saint Germain) right footed shot from very close range to the centre of the goal. Assisted by Marquinhos. Jérémy Morel (Lyon) is shown the yellow card for a bad foul. Foul by Jérémy Morel (Lyon). Attempt saved. Memphis Depay (Lyon) right footed shot from outside the box is saved in the top right corner. Assisted by Tanguy NDombele. Goal! Paris Saint Germain 2, Lyon 0. Kylian Mbappé (Paris Saint Germain) left footed shot from the centre of the box to the bottom right corner. 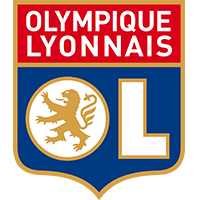 Houssem Aouar (Lyon) is shown the yellow card for a bad foul. Offside, Lyon. Houssem Aouar tries a through ball, but Maxwel Cornet is caught offside. Corner, Paris Saint Germain. Conceded by Jérémy Morel. Kylian Mbappé (Paris Saint Germain) hits the left post with a right footed shot from the right side of the box. Assisted by Ángel Di María with a through ball. Attempt saved. Maxwel Cornet (Lyon) right footed shot from the centre of the box is saved in the centre of the goal. Attempt blocked. Memphis Depay (Lyon) right footed shot from the centre of the box is blocked. Assisted by Ferland Mendy. Attempt saved. Kylian Mbappé (Paris Saint Germain) right footed shot from the left side of the box is saved in the centre of the goal. Assisted by Neymar with a through ball. Second Half begins Paris Saint Germain 1, Lyon 0. First Half ends, Paris Saint Germain 1, Lyon 0. Attempt blocked. Ferland Mendy (Lyon) right footed shot from outside the box is blocked. Assisted by Maxwel Cornet. Second yellow card to Lucas Tousart (Lyon) for a bad foul. Offside, Paris Saint Germain. Gianluigi Buffon tries a through ball, but Kylian Mbappé is caught offside. Attempt saved. Houssem Aouar (Lyon) right footed shot from outside the box is saved in the bottom left corner. Assisted by Ferland Mendy. Attempt missed. Jason Denayer (Lyon) header from the left side of the six yard box misses to the right. Assisted by Memphis Depay with a cross following a set piece situation. Substitution, Lyon. Léo Dubois replaces Rafael because of an injury. Substitution, Paris Saint Germain. Thilo Kehrer replaces Edinson Cavani. Delay in match Rafael (Lyon) because of an injury. Neymar (Paris Saint Germain) is shown the yellow card for a bad foul. Delay in match (Lyon). Video Review. Attempt blocked. Tanguy NDombele (Lyon) left footed shot from outside the box is blocked. Assisted by Bertrand Traoré. Attempt blocked. Kylian Mbappé (Paris Saint Germain) right footed shot from the centre of the box is blocked. Assisted by Edinson Cavani. Lucas Tousart (Lyon) is shown the yellow card for a bad foul. Attempt missed. Bertrand Traoré (Lyon) left footed shot from a difficult angle and long range on the right is just a bit too high from a direct free kick. Attempt saved. Memphis Depay (Lyon) right footed shot from outside the box is saved in the top centre of the goal. Attempt blocked. Houssem Aouar (Lyon) right footed shot from the centre of the box is blocked. Assisted by Rafael. Goal! Paris Saint Germain 1, Lyon 0. Neymar (Paris Saint Germain) converts the penalty with a right footed shot to the bottom right corner. Penalty conceded by Anthony Lopes (Lyon) after a foul in the penalty area. Substitution, Lyon. Maxwel Cornet replaces Nabil Fekir. Delay in match Nabil Fekir (Lyon) because of an injury.